Premium double-sided retractable display for maximum exposure. The Expand QuickScreen 2 consists of two retractable banner stands in one, making it twice as effective, since your message is displayed on both the front and the back. It is particularly useful in airports, hotel lobbies, banks, etc., where it allows you the flexibility of communicating your message in two directions. 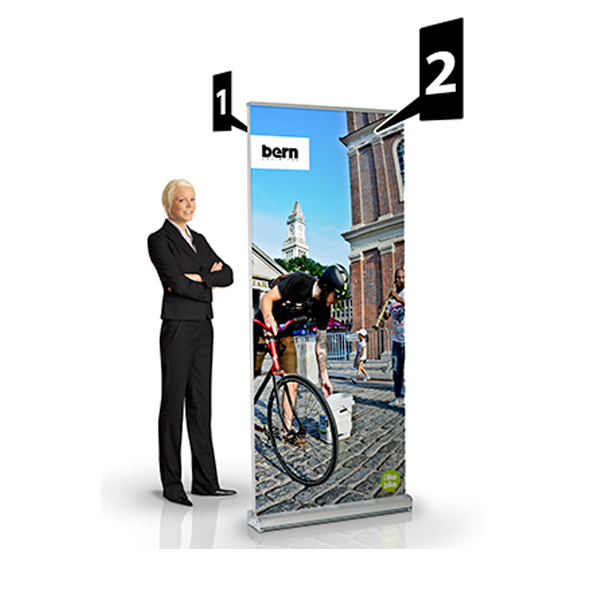 The Expand QuickScreen 2 sets the standard for double-sided pull up banners. 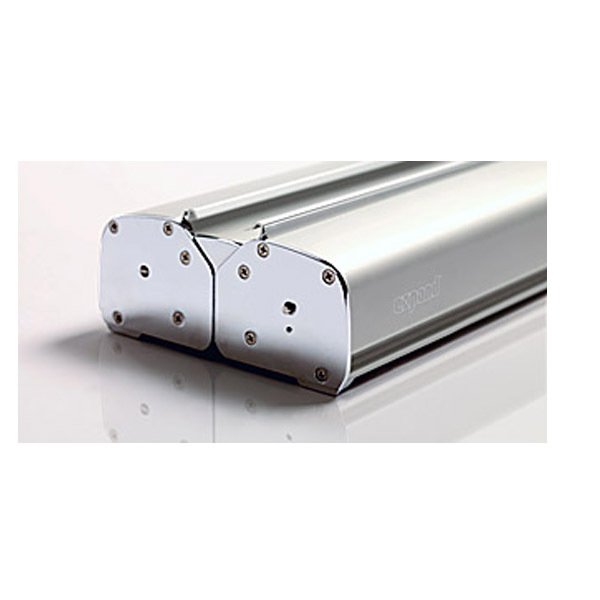 Although other's may look similar, they pale in comparison to Expand's quality hardware and mechanism. The Expand QuickScreen 2 includes clamping profiles which holds most materials, attaches to the top of the pole and does not allow the pole to protrude above the image. The compact shape and timeless design allows the Expand QuickScreen 2 to fit into almost every marketing environment. Roll ups are very easy to use and are ideal for all kinds of marketing and sales activities, information campaigns and presentations. 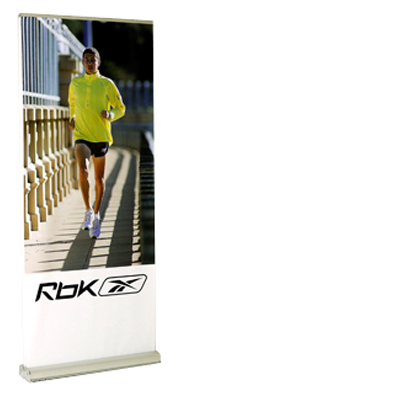 A premier double-sided retractable bannerstand that meets all your needs. Spotlights are available to illuminate your messages. A spotlight (50 W) is available as an accessory to enhance your message.